Metal sign with Pullman logo and holes on each corner for mounting. Probably done by Historic Pullman Foundation. 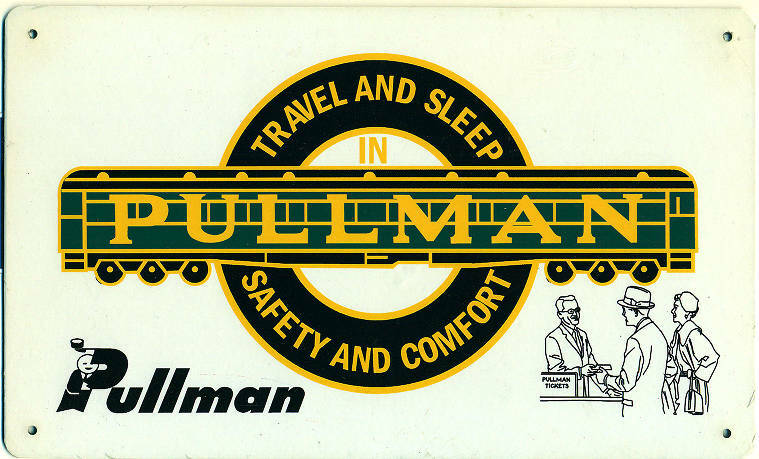 Description Metal sign with Pullman logo and holes on each corner for mounting. Probably done by Historic Pullman Foundation.